The learning community at Georgia-Cumberland Academy consists of teachers and learners who work together to discover knowledge and skills that will prepare students for success in life and future educational experiences. Our high academic standards prepare students for success in higher education with approximately 95% of our students pursuing college or university educations after graduation. 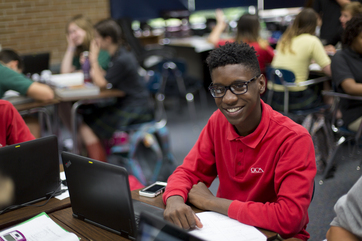 Our student test scores demonstrate the success of our academic programs, as well, with our students consistently outperforming the national averages on the SAT and ACTs.